Updated Friday December 14, 2018 by Tony Metzler. GALL has 3 seperate division in our Minors division: Rookie, Minors AA, and Minors AAA. ​Both AA and AAA is player pitch for all innings. ​Minors AA is for those 9 year old players that are just coming up from rookie and any 10 year olds that are new to baseball. Minors AAA is for those 10 year olds that played Minors AA in the spring and some 11 year olds that need a little more time before advancing to the majors division. Little League has changed the age cut off for figuring “league age” of players. This resulted in a lot of players being added into the “Minors Division”. GALL typically split our “Minors Division” into Rookie and Minors. Rookie being part machine pitch – Minors all kid pitch. 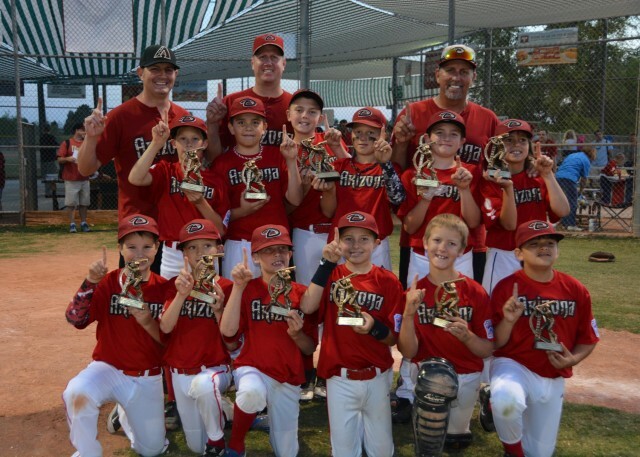 Our Majors managers have expressed that as the kids are getting to the Majors division – many have not had much experience in pitching or catching. The main goal is to make the teams in each division have 12 players that are as close in skill level as possible. This will help get each player more time on the field, pitching, and catching. Having the Minors AA group will get that player on a team with other boys in the same situation. They will have more play time and be more likely to pitch and catch. This should help increase the skill level of all of the players. Each team will play 2 games per week. External links are provided for reference purposes. Gilbert American Little League is not responsible for the content of external Internet sites. Copyright Gilbert American Little League All rights Reserved.